A roof completes a house. That’s why a leaking or damaged roof makes the house completely uninhabitable. It’s for this reason that homeowners should always take care of the roof by maintaining it and when there is any sign of damage, it should be fixed immediately. 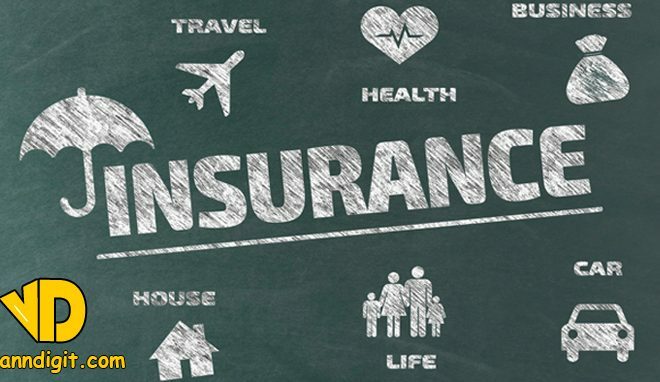 The benefits of a well maintained aren’t contestable from keeping you safe from the rain. It also keeps you warm along with everything in the house. When you see any sign of damage, you need to act on it quickly so that the problem don’t escalate. 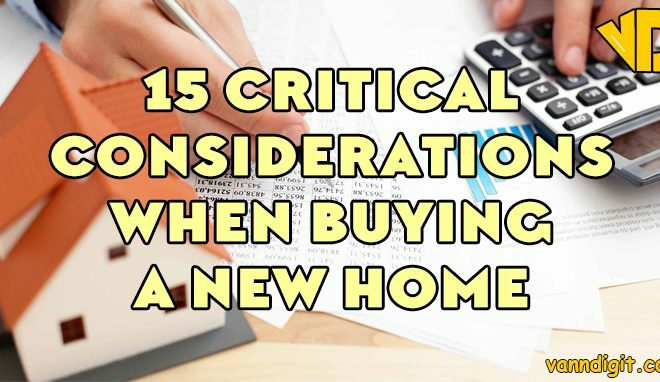 You should not ignore any sign, however, small it looks because it may bring the house down or escalate the cost of repairs. If you live under a flat roof, you will understand that it needs more repair and maintenance than a pitched one. The main reason is that it does not allow debris and rainwater to roll off with ease. Therefore, understand about your specific type of roof, then research and consult on its pros and cons. First, if you want your roof to serve you for decades, you need to inspect your roof on a regular basis to see if everything is in order. Moreover, you need to do a thorough check-up before winter onset and after it has occurred. 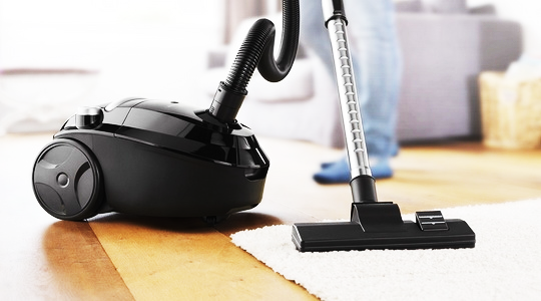 You will probably notice cracks and other points of breakage. You need to start your inspection at the ceiling. 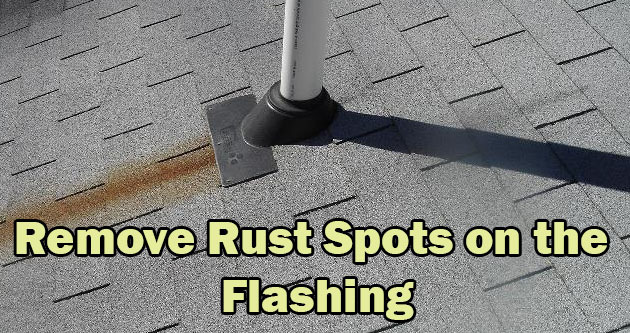 Keep an eye on rust when checking metallic materials on the roof. Ensure the flashing is in good condition. 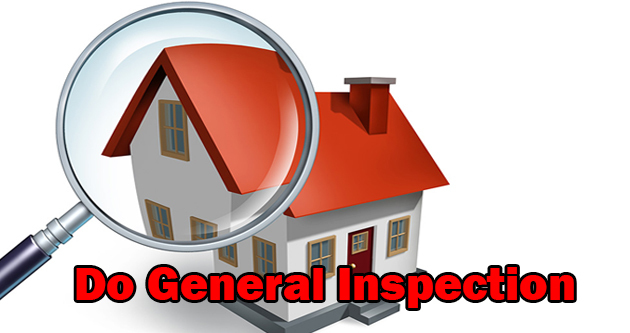 The general examination is important because it tells you if the roof needs repair. This way, it saves the shelter from unnoticed damages. It ‘s not a good idea attempting to clean from the top of the roof. What you need to do is to stand on a ladder firmly while avoiding the top three rungs. You need two buckets; one for the debris and another for the tools you will use. It is safe to use wire hooks when attaching the buckets to the ladder. The best place to start cleaning is the downspout. A trowel is essential in removing large debris. For finer materials, a hose can be used to flush them. If you see the water not draining after cleaning, it may be a sign of the downspout clogging. It’s nice if you check the drain and remove the pipe to allow it clear the blockage. s is a more tedious task than cleaning. If after flushing there remains standing water, it is a sign that the gutter needs repair. 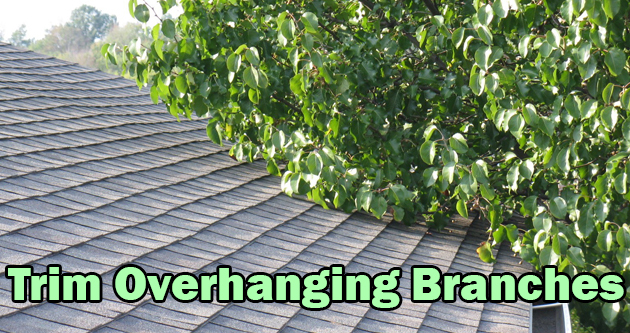 Moreover, if the gutter doesn’t slope well, you should detach the hangers and fix the drain. Check if the hooks are missing and replace them. If the channel lengths are not tight, repair the seams. 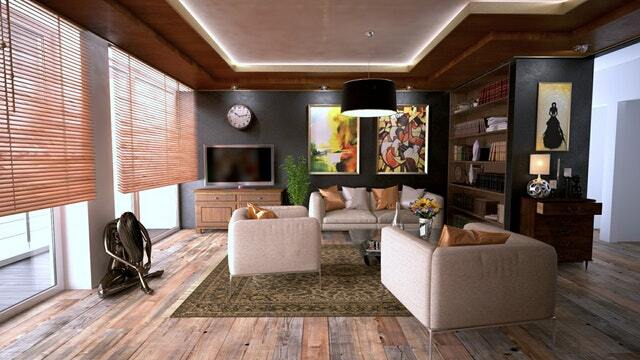 Apply some paint to cover any rusting so that the circuit may look desirable. There is usually a close connection between the gutters and the roof. If water is not flowing well, the water may overflow from the gutters, and later spread on the roofs. After some time, the roof may develop problems. 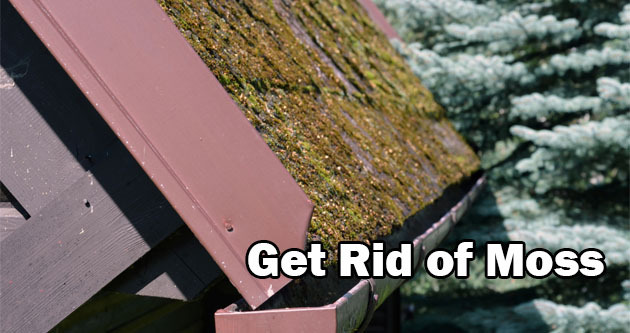 Patches of green moss on your roof may look rustic, but it can shorten its lifestyle. It mostly affects asphalt and wood. Moss starts growth as a thin layer between and on the shingles. With time, they lift the shingles and water can seep through. The act marks the beginning of the wood rotting. To be safe, use a ladder while cleaning moss. Scrubbing moss on a cloudy day is essential. Make sure you don’t use a pressure washer as it can damage the shingles. If the problem needs further work, you need to head to the store and buy a moss cleanser. It surely removes the mess in a short time. To prevent moss from returning, you can install copper or zinc coated metal sheets beneath the top ridge on either side of the roof. 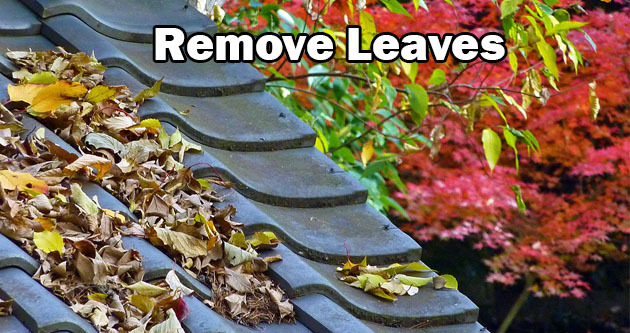 If you live in a desert, leaves can’t be a concern but residing in a rainy place; they bring a big problem to your roof. 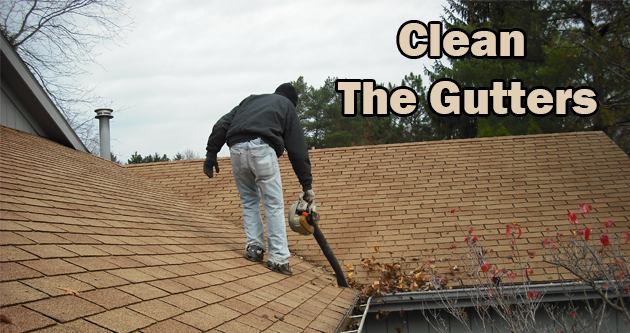 During the fall, leaves may clog your roof on a weekly basis. 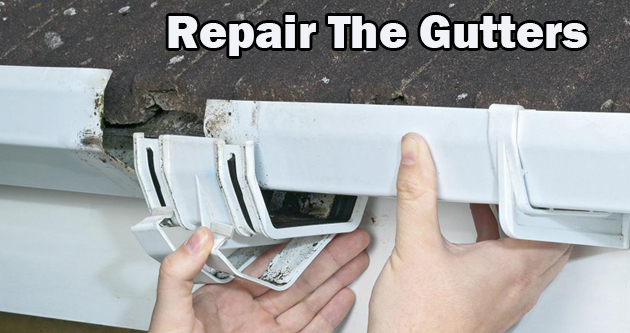 This issue may still continue even when you install gutter guards. Removing leaves on a regular basis, say daily, can be a hard job but it rewards. It is easier if you use a leaf blower as you will not spend much energy. After removing the leaves, you need to mulch them in your garden so that the wind may not blow them back to your roof. Humps of ice usually stay at the edge of the roof during the winter. They may damage both the roof and the inside of your house. Moreover, they put the downspouts and the gutters at risk. 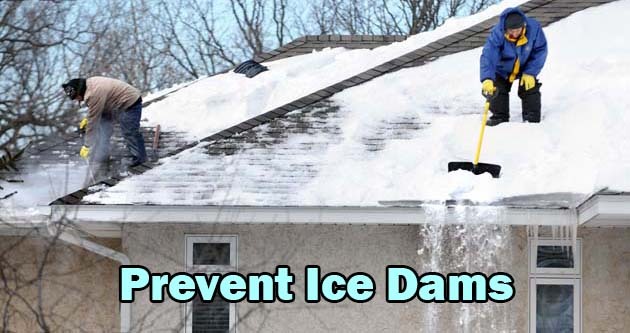 Ice dam control involves two ways. First, you have to deal with the existing humps. Break them into small chunks. Make sure you don’t use a sharp tool as you may cut through the shingles. If you choose to melt the ice, use calcium chloride as rock salt damages the paint and the plants growing beneath the eave. Rusting is a common problem on iron materials. Since the places trap additional moisture, there is continued damage to the metal components of the roof. The best way you can prevent your roof from rust is through cleaning it. You can do this easily by hosing it many times a year. It will keep the water-holding dirt. You need to remove the rust spots on the flashing before you seal the material. This act prevents further rusting and therefore secures your roof from gradual damage. There are probably two reasons why shingles blister. The first issue is because of trapped moisture. The other problem is poorly ventilated roofs. Blistering shingles are not a concern to many people if they still keep granules. It is a good idea to solve the problem because there comes a time when they pop. When this act occurs, it dislocates the granules. The shingles become exposed to the UV rays. They will lose more and more granules and through weathering, they’ll start leaking. 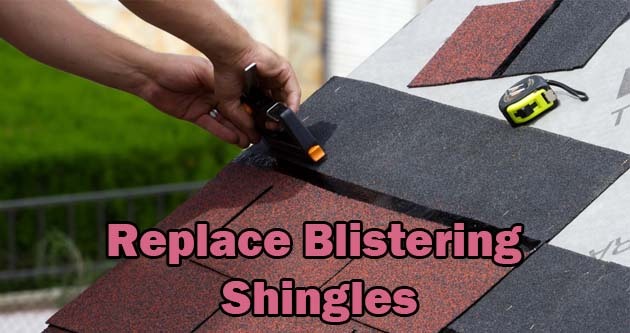 To prevent blistered shingles from blistering, replace them. Replacing needs observation of the weather before you embark on the job. The problem is if the weather is too cold, the shingles may crack. On the other hand, if it is too warm, the sealants may be hard to break. This part of the roof usually gets little attention when one does repair and maintenance of the house. The indifference happens because even if you neglect them, most chimneys will do their work well. 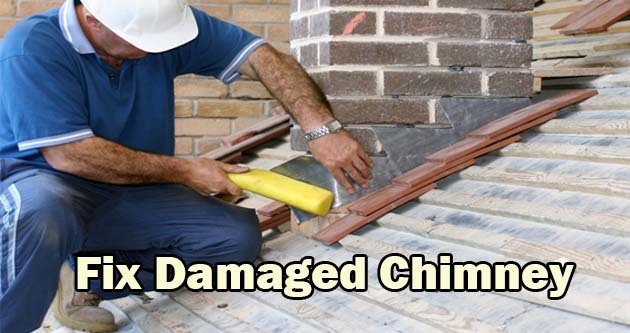 In most times, if your chimney crumbles, it means the mortar situated between the bricks has degraded. It is surely an odd thing, but water causes more damage to the chimney than fire. To ensure no problem on the stack, check the chimney crown and fix its projection so that it is mainly sloping. Moreover, if the mortar joints are damaged, cut and reappoint them to a good shape. You should often fix the seal between the chimney and the roofing. Install a cricket to prevent the vent from the water. When you want to install or maintain your roof, sometimes you can get help from professionals. The problem is that sometimes they can do a poor job due to lack of knowledge. It often happens when you meet fraudsters who pretend to know the job well, but they are guessing. 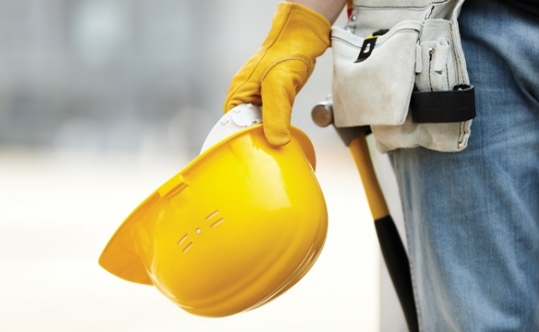 It is suitable if you hire licensed contractors because they are liable to the law. Licensed contractors probably have experience of working on roofs. They will likely notice a problem that you may not have noticed. 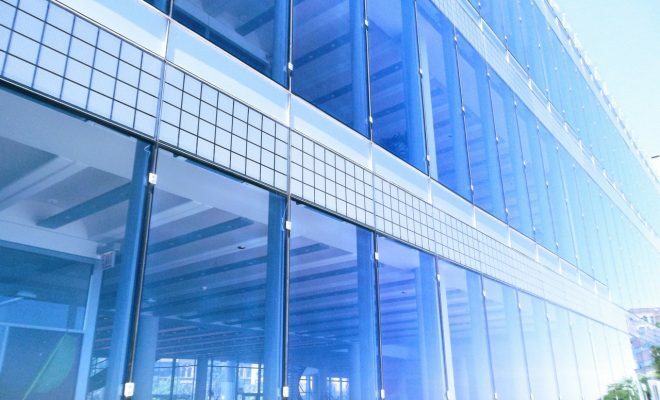 It makes it easier to maintain and repair the roof. It’s essential to understand that sometimes, for the ceiling to last, you have to spend some money on hiring someone. While many homeowners take care of other home parts, the roof is usually neglected. Over time, roof problems arise, causing leaking or even causing disintegration. luckily, you don’t have to wait for that. Develop a maintenance and inspection program for your roof. This way, you shall identify issues on your roof, when you can fix them before they deteriorate. With the above tips you will prolong your roof’s life, easily and effortlessly.